Dr Bruce Robinson is the author of bestselling books Daughters and their Dads, Fathering from the Fast Lane and The Blue Book of Tips for Fathers & Father-Figures, and is the co-creator of number of DVDs for fathers and father-figures. 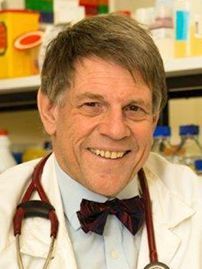 As a doctor, teacher and scientist, Bruce has published over 200 professional papers and has received numerous awards. In addition, for over twenty years he has been researching and lecturing on fathering, with thousands of people in six different countries hearing his talks on how to be a better dad. Bruce leads The Fathering Project team at The University of Western Australia. His work with The Fathering Project largely earned him the title of Western Australian of the Year in 2013. In his work as a cancer specialist, Dr Bruce Robinson has had to tell hundreds of men that they only had a short time left to live. For too many of these men, regret was a key reaction – “I wish I had spent more time with my family/with my children”. Bruce realised that there was a need for fathers to, as he puts it, “learn to live richly at the front end so you don’t have regrets at the back end” – in other words, to learn how to build those relationships with the family and improve that work/life balance so that down the track they don’t wish things could have been different. From these humble beginnings more than 20 years ago, Bruce’s plan to educate fathers on how to be better dads, known as The Fathering Project, has developed into seminars and presentations at schools, workplaces and community groups, reaching thousands of people in six different countries. In 2013, Bruce was the recipient of the prestigious Western Australian of the Year Award for for his advocacy of the benefits of good fathering and his establishment of the Fathering Project as well as for his ground-breaking cancer research, his volunteer work in medical clinics in rural Indonesia and his compassionate work in helping cancer patients and their doctors cope with the emotional demands of patients’ diagnosis and treatment. Bruce is married to Jacqui, and they have three adult children.